Running Any on PHP MySQL Based App on AppFog Cloud is basically quite easy. Here is basic method to run any PHP MySQL Based App on AppFog Platform as a Service. First read the step by step guide to Install WordPress on AppFog Cloud PaaS. That is the building block. WordPress can be installed on AppFog by default as mentioned on the above linked guide. 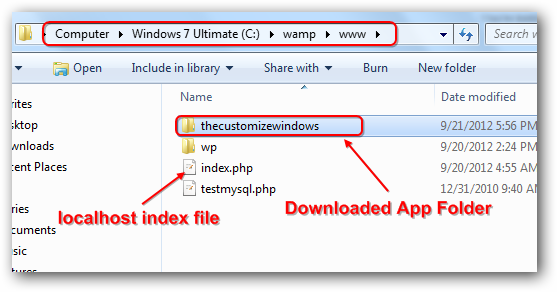 And this guide is important for using AppFog from Windows PC using Command Line Tools. Change the red colored text to your App’s name. Running Any PHP MySQL Based App on AppFog Cloud is not very difficult. This Article Has Been Shared 4808 Times! Cloud OS eyeOS is a Open Source Free Cloud Based Operating System. It can be installed on your local hard disk in very easy steps. Fixing UNIX Commands After OSX 10.8 Updates can be pathetic as there are definite missing packages, packages with no more support etc. Here is how to fix them. 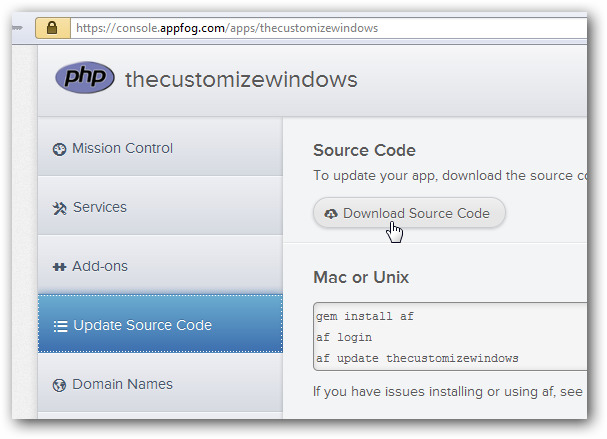 Cite this article as: Abhishek Ghosh, "Running Any PHP MySQL Based App on AppFog Cloud : Principle," in The Customize Windows, September 21, 2012, April 26, 2019, https://thecustomizewindows.com/2012/09/running-any-php-mysql-based-app-on-appfog-cloud-principle/.